Bright quartz with a tiny ding at the tip but otherwise perfect. 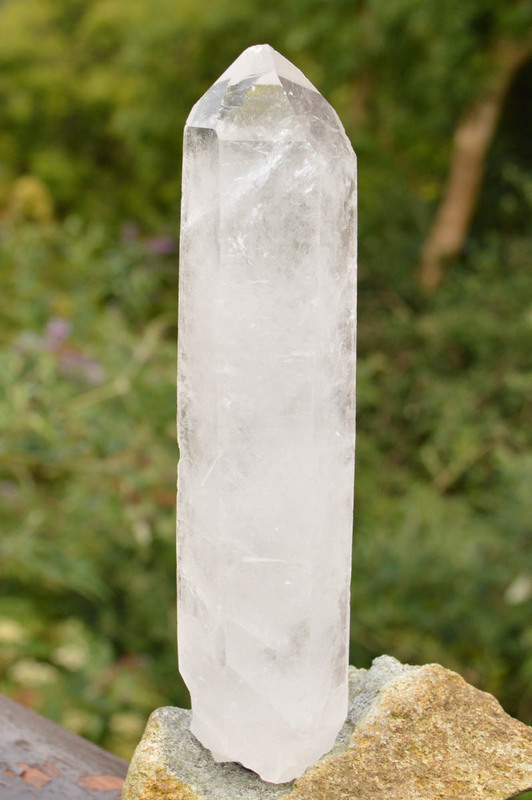 Over 7" and 1/2 a KG of energetic Himalayan Quartz. 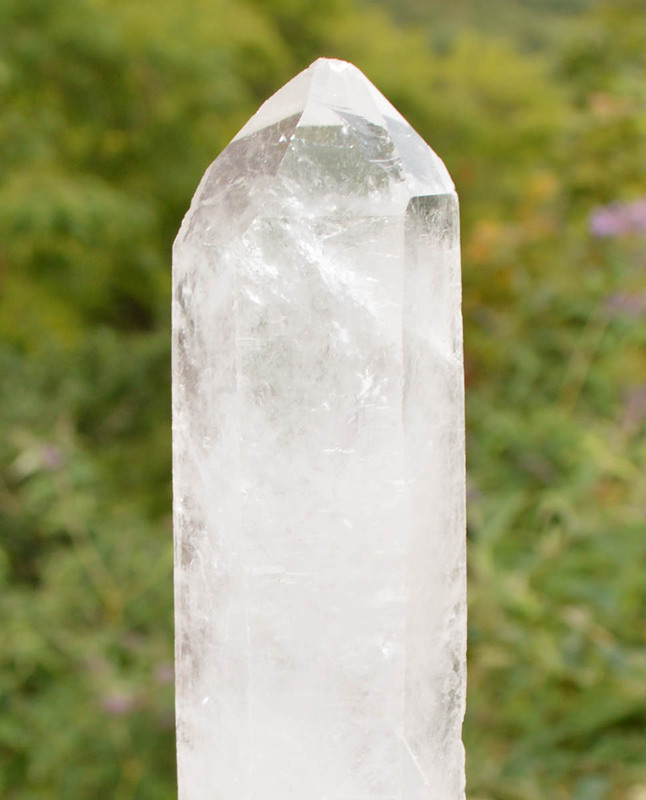 Himalayan Quartz resonates with the mountains in which it grew for hundreds of thousands of years. Records of mystics and yogis moving to the Himalayas date back over 5000 years because the atmosphere there is perfect for yoga and meditation. That mood vibrates in even the tiniest Himalayan crystal. "Laser wands often have unique etching and or/markings upon them. They were once used in the healing temples of Lemuria, the markings indicating the records of experiences "they have seen”. It can be used to clear an area of negativity, to create protective barriers and to beam healing energy to oneself or another." "This etched formation contain information with respect to the healing methodology which has been proved successful over aeons of time and throughout the universe. 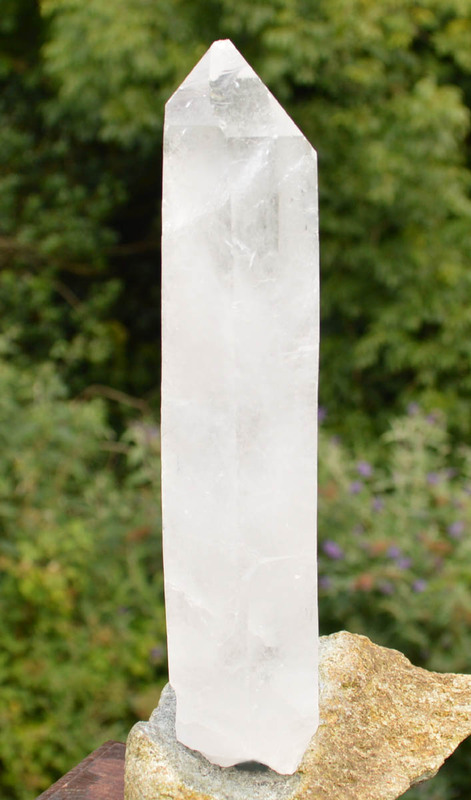 The etched quartz crystal is usually a personal meditation crystal … will be beneficial to one's personal development and/or will provide information which will assist one in helping another." Melody, Love is in the Earth.